Uusi leimasin kokeilussa, vähän erilainen PB ! Timantit/Diamonds & Nauha/ Ribbon: Basic Grey. Kuvaaja vähän vinossa kuten aina, mutta menköön näin hiihtoloman alkaessa - Hyvää viikonloppua! Happy Crafting Weekend! Very pretty! I like the tassel. What a beautiful card ! 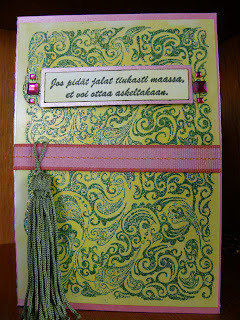 Lovely tassel too ! Thank you for following me, I am following you too now ! Hi, Mervi! Love your card! Welcome to the Softpencil Design Team! I look forward to seeing your creations! 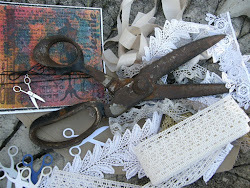 Wow you have some fabulous projects on your blog - I love them. Thank you for posting my candy in your sidebar. I look forward to working with you through March for Softpencil.